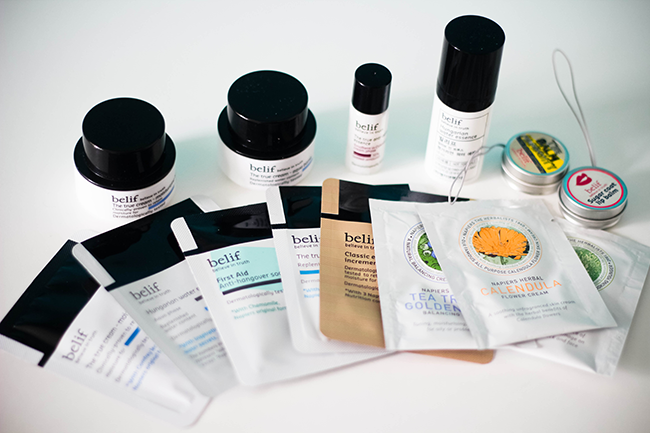 Belif is a brand that I have been introduced to, having not an inkling as to the brand, I could have no pre-judgement, just all my thought but I did before I agree decide to hop on their website & read a little bit more about the company. The brand is mixed together with that of Napiers who was founded by Duncan Napiers and it combines his modern skincare expertise. 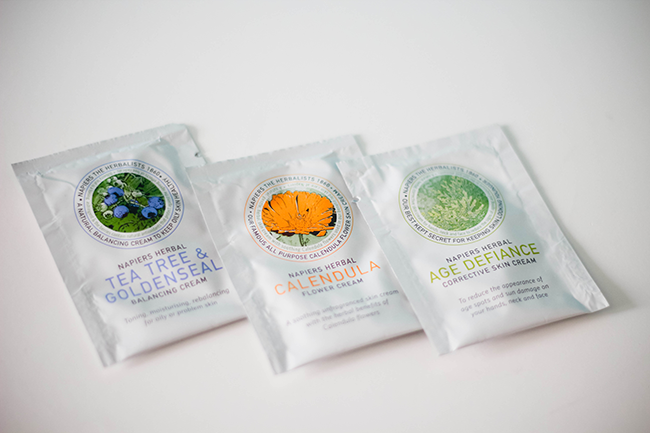 The brand uses herbal processing methods that were passed down from a British herbalist since 1860! When I think about remedies/process from back when, I think how much more efficient and simple were they? Sometimes at home I use remedies my nan passed down to me that she got while growing up in Jamaica and the simplicity works better than over the counter or store purchased products. Now keep in mind, this gorgeous box that has an embossed design, cute yellow, gold rope handle contents sample sized products which can be a great introduction into a brand. Nothing is worse than spending a great deal of money on something that doesn't work right? Within this box there was a smorgasbord full of variety, creams that you can find to target your skin type and those two little lip balms in the top right corner? Reminds me of when I was younger and you could have them as charms on your phone or key. Below you can see a close up of each set of products within this box. This contains the herbal ingredient called "Lady's Mantle" this helps soften the skin with its natural properties to remove dry, scaly, and flaky skin, while controlling excess sebum, resulting in tighter pores and less oily shine. Also acts as an excellent moisturiser. This has a gel like consistency, each time I smell this I think of washing up liquid(?) If I'm being honest. I don't feel this leaves my skin feeling moisturised / supple. When I apply it onto my t-zone, it almost mattifies the area but leaving it feeling a tad dry. Be a good one to control oil spots before applying make-up. Marketed as a 26 hour cream, great if you work excessive hours or travelling to Australia where you need something that is going to keep your skin hydrated while your running on empty. The key herb within this is Comfrey Leaf which helps turn rough, hard skin into soft and supple skin. Well I don't have rough, hard skin so I can't comment too much on this, has a fresh scent to it and is of course more moisturising than the Aqua Bomb. Rosemary this herb boosts microvascular circulation, keeping skin tone clear and healthy. By removing active oxygen, it prevents oxidation of skin tissue. Gotu kola helps alleviate skin ageing while protecting the skin. This is used after your toner and before the Aqua bomb. This pump bottle essence has a gel like consistency and wouldn't be very enhancing in moisture for my skin, tried the steps of the Aqua and the skin felt too dry. Calendula with its abundant bioflavonoids, it has been used as natural moisturiser through the ages to prevent skin ageing and dryness. Acai widely known as a super food with excellent antioxidant benefits, it strengthens the moisturised layer of the skin with abundant polyphenols and vitamin A. Wasn't a fan of this one neither, it is very runny as of course it is a liquid but it needs to be shaked up before use as it naturally separates but it didn't add anything to my skin, I applied it the way it's described to do, apply with warm hands and gently pat until absorbed - so far all these products have done have mattifies my face but leaves it feeling like it continues to need more. You'll also see 3x 3ml sachets of the first three products described above in the image. Chamomile is a mild, low-irritating herbal ingredient that calms delicate and sensitive skin. I've read for years Chamomile is good for the skin, another herb that is great for sensitive skin meaning that if you have irritated skin from whatever you can use chamomile to make sure it's not provoked. This mask is to be used at night and wash it off in the morning so only a thin layer is applied. If your skin is tired, dull and overall just exhausted - this is perfect. Helps to revive the skin and feel more alive. I use this cool, gel textured mask underneath my cream before I go to sleep. I wake up and once I rinse it off my skin is so smooth and feels more plump. If you find that your skin is thin and delicate this is a good product for you, just like the previous Essence products this is use after the toner. 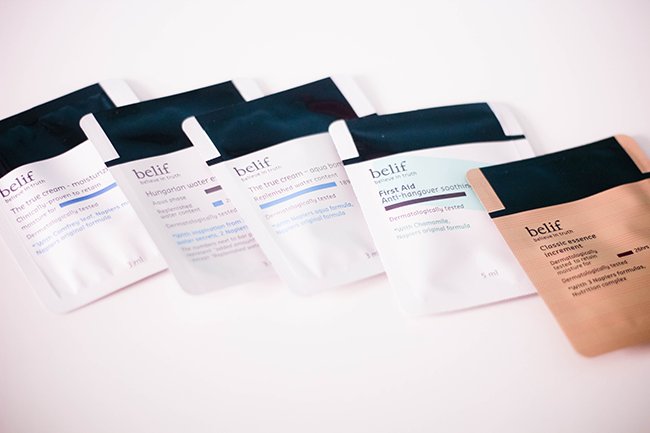 It's to help those with with thin skin get the most moisture and resilience possible. This selection here is part of the Napiers Herbal own brand which is also available to buy on the website. I guess it was to give an overall feel of the brand itself. This cream is for face & body & for those who suffer from problematic, combination skin containing herbs with natural antiseptic properties such as Tea Tree, Bilberry and Goldenseal that can be ideal for skin problems such as reduce redness, blotches and redness. For those with dry skin that is causing irritation and soreness. The unfragranced, soothing, moisturising cream is protecting and calming, contains no fragrance and no essential oils, safe for children & babies too. Natural Calendula extract speeds up cell & tissue repair. This one sounds quite good and appealing to me, helps to shrink & remove skin tags, fade age spots, unusual skin marks, freckles, sun spots, reduces signs of sun damage and evens out skin pigmentation. Great for all skin types. This multi-functional balm delivers instant moisture and relief to various skin areas, such as cuticles, tips of brittle hair, elbows, heels, and other dry cracked areas. Borage oil rich in a variety of minerals and Lavender oil in this balm soothe the skin and protect the skin from external skin stressors while keeping dried and damaged skin soft and hydrated. 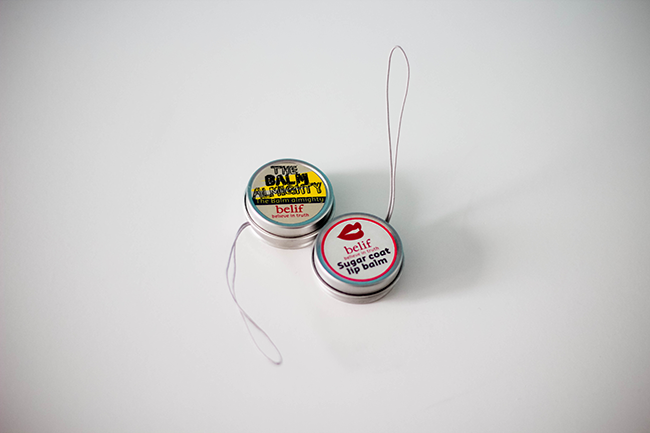 Lip balm treatment that leaves the lips healthy and hydrated so that they look silky and glossy as if they were sugar-glazed. Rich with hydrating and smoothing elements, it seals in moisture and protects the lips from the environment. It is formulated with the herbal ingredient Stellaria (Chickweed), effective for hydrating and preventing skin troubles, particularly the delicate skin of the lips which are often prone to dryness. (CF? )While searching Belif Cosmetics I wanted to see if it was CF (cruelty free), it says it is dermatologically tested but all that means is a dermatologist has deemed it safe for our skin. Yet there is no state of CF I have contacted the company and I am awaiting feedback to edit this post. This box above is not available to purchase I'm afraid. 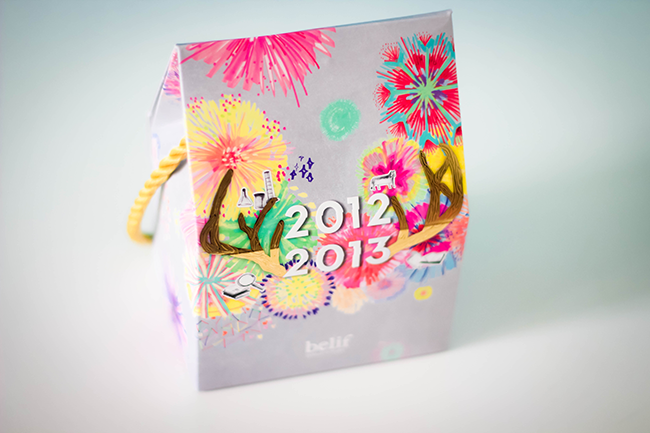 It was sent as just a bundle to sample but individually these products are available full size. I think it would be a great thing if these could be available as above so others could have the chance to sample them as a smorgasbord too, what do you think? Hi! 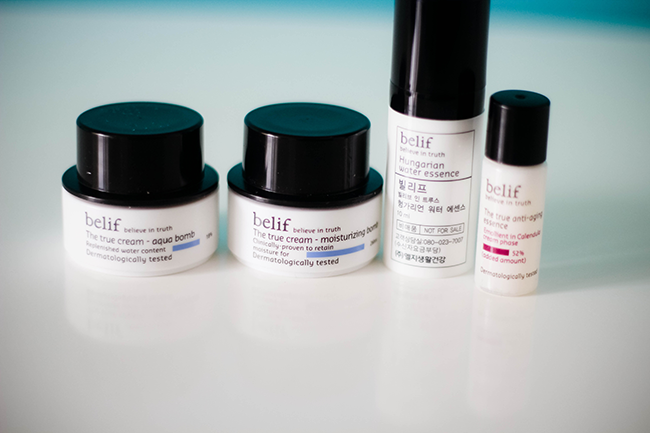 Is belif really cruelty free? Hello 😄 I'm just wondering whether you 've heard back from Belif about their stand on animal testing? I'm thinking to contact them too. Thanks so much. I never heard back from them unfortunately so I don't know their stance on animal testing 100%. I saw one website that sold Belif items under a non animal testing headline. If you do hear back from them - please let me know.